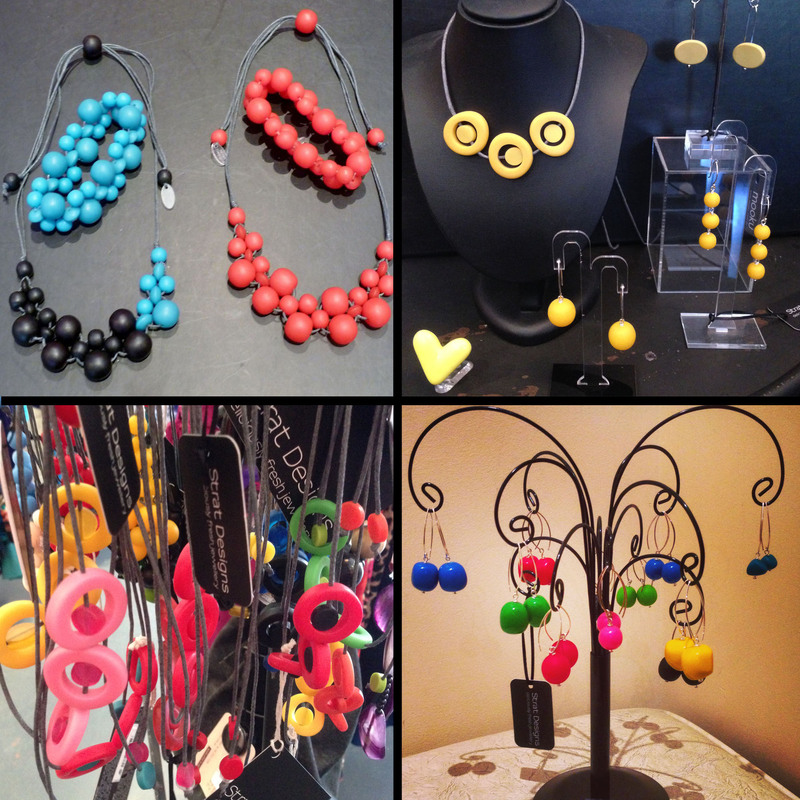 Each necklace comprises a delicious assortment of resin beads with a lamp work glass focal bead. The beads are woven together on strong cotton cord for maximum flexibility. The funky earrings come in a variety of resin drops, some matt others gloss. Measuring approximately 4cm from top of hook to tip of drop these very comfortable drop earrings have Bali Silver hooks and have great movement when worn.